There are many ways to earn a lot of airline miles in a hurry, but the fastest way is signing up for a co-branded airline or travel credit card. Doing so allows you to earn miles on your regular spending, plus you can usually earn a signup bonus worth a few free flights. Other ways to earn miles include: signing up for frequent flyer programs, consistently flying with your favorite airline, using airline and travel rewards shopping portals, and keeping your eye out for special promotions. Amazingly though, there's one more way to earn miles — and it may just be the easiest. With airline dining rewards programs, you can earn miles for each dollar you spend when you dine at your favorite restaurants. 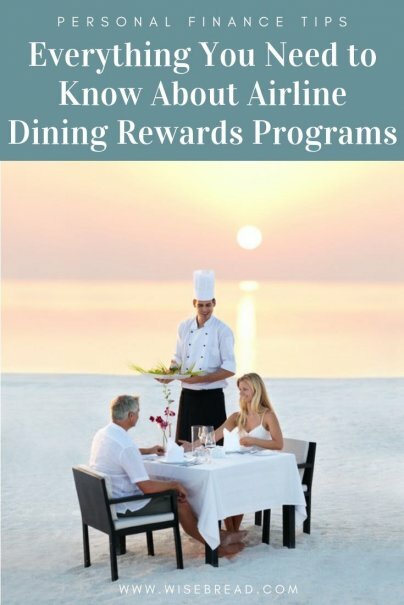 How do airline dining rewards programs work? The concept of earning miles with dining programs is simple, although the rules that govern each independent dining rewards program can vary. Popular dining rewards programs include Southwest Rapid Rewards Dining, Delta SkyMiles Dining, United MileagePlus Dining, and American Airlines Dining, although other airlines run programs as well. Each airline dining program works with participating restaurants nationwide, making it easy to find establishments in your area or when you travel. Once you sign up for a dining rewards account, all that's required is using a credit or debit card tied to your account when you dine at a participating restaurant. Once you do, the miles you earn will be credited to your account — usually in less than 60 days. The number of miles you can earn depends on the program you decide to join, as well as other factors, but you should earn a minimum of one mile for each dollar you spend at a participating restaurant, and maybe more. Some dining rewards programs let you earn more miles each time you dine out once you reach a certain threshold within the program. With Delta SkyMiles Dining, for example, you can become a "VIP Member" after dining 11 times or more within the program by the end of the year. With a VIP membership, you'll earn five miles per dollar you spend at participating restaurants within the program. Southwest Rapid Rewards dining lets you earn three miles per $1 spent (as opposed to one mile per $2 spent) for dining members that agree to receive Rapid Rewards Dining emails. You can also earn more miles by opting into emails with the American AAdvantage Dining program or United MileagePlus Dining program and becoming a Select or VIP member. Airline dining programs incentivize consumers to sign up by offering initial signup bonuses worth a few thousand miles. With Delta SkyMiles Dining, for example, you'll earn 3,000 bonus miles for signing up and spending at least $30 (including tax and tip) at participating restaurants within the first 30 days of membership. American AAdvantage, United MileagePlus, and Southwest Rapid Rewards Dining offer similar bonuses. The best part about airline dining programs is that you can earn even more rewards by using a travel or airline credit card when you pay your restaurant bill. Remember that dining rewards are doled out on top of any points or miles you earn with a rewards credit card. Most airline dining programs let you connect multiple credit and debit cards to your account, so make sure to connect all cards you use frequently. By connecting all credit cards you're likely to use, you'll never miss out on miles when you dine out. With most dining programs, you can use any credit card you want to pay provided it's connected to your account. This means you don't have to use an American AAdvantage card when you're dining within American AAdvantage dining, for example. Instead, you can use a rewards card that gives you more miles or cash back for dining out. If you think you could benefit from joining a dining rewards program for your favorite airline, you're probably right. 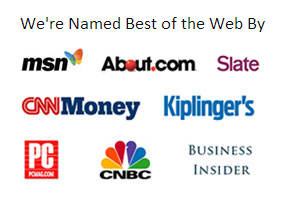 Joining these programs is free and you could benefit more than you think if your favorite restaurants participate in your area.